What does CE mean on an LG washer? There may be a few different reasons why the CE error code can display on your washing machine. LG washer getting the CE error code? The CE error code on the LG washing machine display is an indication of a CURRENT ERROR. The 2 issues that may cause this fault code is a faulty motor, or main power control board error. There may be a loose wire or wire harness or a one of the components is faulty. 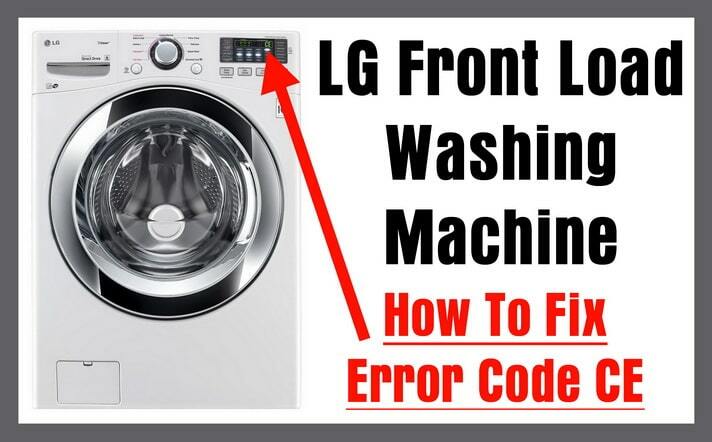 These issues can cause your LG washer to display the error code CE. Checking securing and or replacing the components will clear the error code and fix your LG washing machine. What Causes Error Code? : Loose Wires | Motor Fault Error | Main Power Control Board Error. How To Clear Error? : Check for loose wiring | OHM motor with meter to check if motor is good | Replace main board. 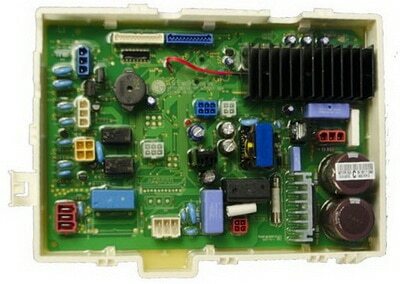 – Remove power to the LG washer for 30 seconds to attempt to reset the main board. – Apply power back to the LG washer and run a test cycle. – If the CE error code has cleared, your LG washer is now in working condition. The LG washing machine CE error code indicates there has been an over current in the electrical circuit of the motor. It is caused by a ground fault, power surge, short circuit, or a loose wiring connection. – Remove power to the washer (before checking wiring or testing motor with meter). – Inspect all wiring connections at the main control circuit board, re secure if loose. – Check all wiring within the washer to be sure there are no damaged or loose wires or wire harnesses. – If wires or wire harnesses are found loose simply reconnect and be sure wires are secure. – If a wire harnesses or wires are found to be damaged, simply replace the damaged wire harness. – If all wires are found to be securely connected and not damaged, test the motor. – Test the motor with an OHM meter to see if the motor is in working condition. – If motor is found to be faulty – replace motor – (Highly unlikely as loose wires or bad main control circuit board is most likely issue). – If the motor checks to be in running order then the main control circuit board may be faulty and will need to be removed and replaced. 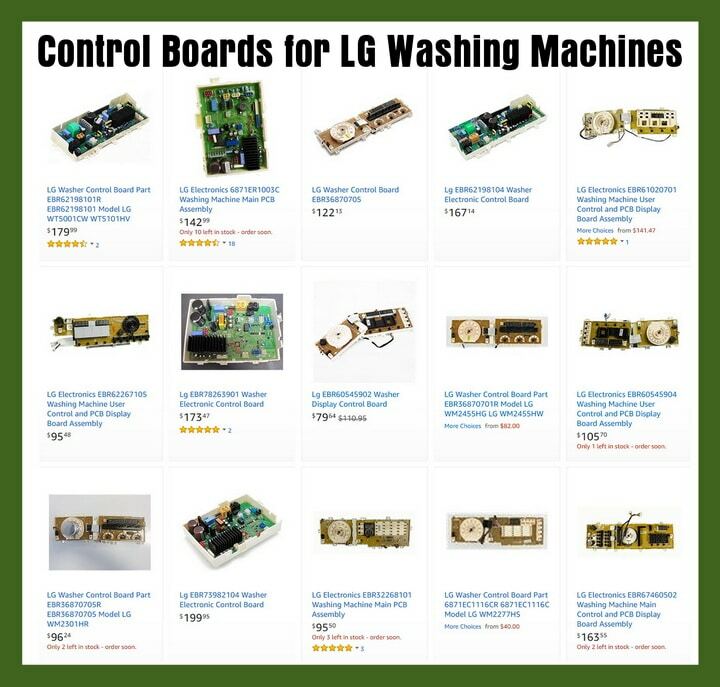 To remove and replace the main control board, remove power to washer, remove screws on the top of the control panel, pull the panel forward and upwards, remove screws that connect main board to display board, install the new main board, reinstall and test washer. Need help with your LG washer showing the CE error code? Leave your question below and we will be happy to assist.